This has 8 word association games. 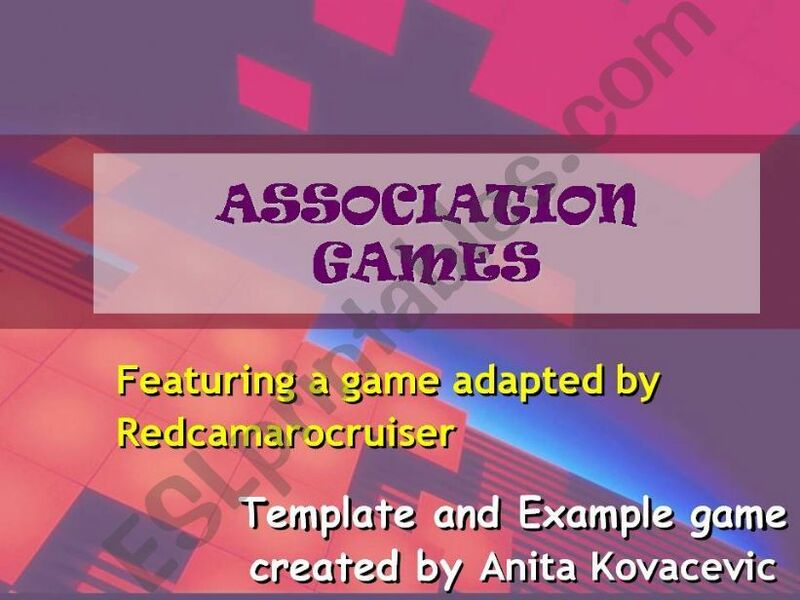 Using Anita KovacevicÂ´s idea for a word assiciation game and her game template, I created a set of word association games. Students guess a word by revealing clues and making free assiciations. Can serve as warm-up activity, review of vocabulary, or vocabulary expansion. Past mystery words have been university, hotel, and amusement park. This set includes seasons, school, pet store, hospital, birthday, school supplies, orchestra, and family. I hope it is helpful. I like this kind of games. Thanks a million! Great, as usual!Thanks for sharing! Great game!Thanks for sharing!Have a nice day!! Thanks a bunch. My kids loved it!